The Hong Kong Library Association is delighted to be the main host for the HKLA Unconference at the Main Library, The University of Hong Kong on Oct 13, 2018 (Sat. ), 2:00pm to 5:00pm. The unique informal event is organised with the support of the Faculty of Education, The University of Hong Kong. 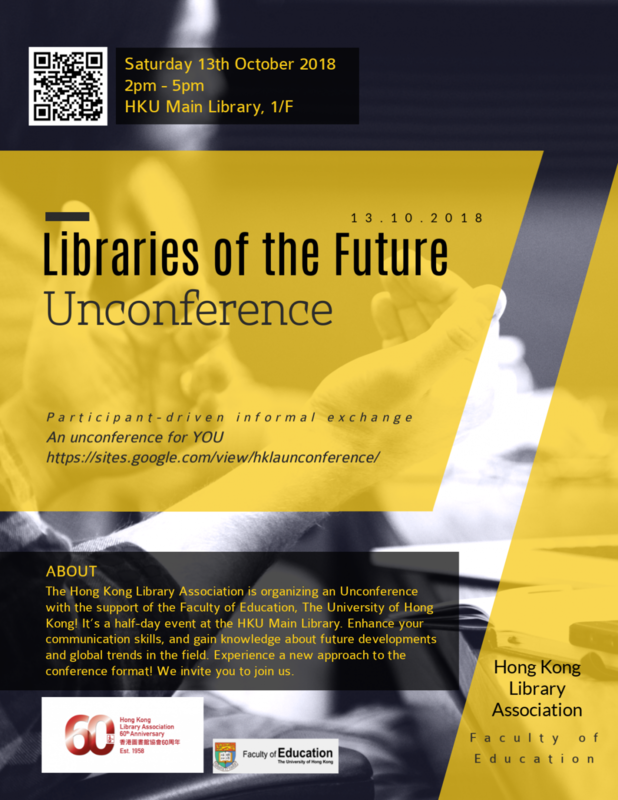 Registration is now open for the HKLA Unconference “Libraries of The Future”. Please click on the link below and complete the registration form. The Unconference Poster can be found here.